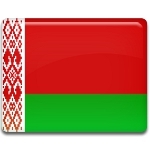 Day of Belarusian Written Language is celebrated in the Republic of Belarus on the first Sunday in September. It aims at demonstrating the unity of the Belarusian written language and the history and culture of the Belarusian people. The first celebration took place in 1994 in the city of Polotsk. Day of Belarusian Written Language was established to celebrate the continuity of spiritual traditions of the Belarusian people. It focuses on cherishing and protecting the country's spiritual legacy. The holiday is marked with concerts, fairs, award ceremonies, exhibitions, presentations and other cultural events. The celebrations are traditionally hosted by cities and towns which are considered cultural centers and have a rich historical heritage. However, the holiday is somewhat controversial because the Belarusian language has two orthography variants: the official orthography and Taraškievica (Belarusian Classical Orthography). Taraškievica was used between 1918 and 1933, its revival began in the 1980s. Many people believe that Taraškievica better reflects the pronunciation and think that it should be made the official orthographical system. So it is unclear which exactly variant of the written language is honored on the first Sunday in September.